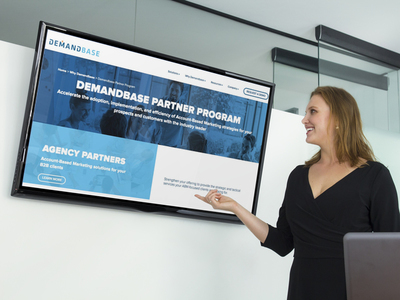 The partner program is a natural next step for Demandbase, he said, which has actively supported the rapid growth of the ABM ecosystem, including the company’s participation in The ABM Alliance, a group formed last year among several marketing technology and ABM vendors. Partners will have access to certifications in both ABM and the Demandbase platform, as well as sales support, joint marketing, a Partner Portal, thought leadership and product innovations, Demandbase said. Partners include Bulldog Solutions, Doremus, DWA and Edelman, Ogilvy CommonHealth Worldwide, Optimizely, Oracle Marketing Cloud and Salesforce. Demandbase also introduced an AI-based website personalization solution to its product suite. Called Site Optimization, the product extends Demandbase’s website personalization solution by automatically recommending specific content and high-value pages to each visitor based on AI-driven insights. By combining AI and an ABM focus, Site Optimization aims to deliver personalized content to prospects.